Benjamin and I just completed our fourth flight – most of which I did with him solo. 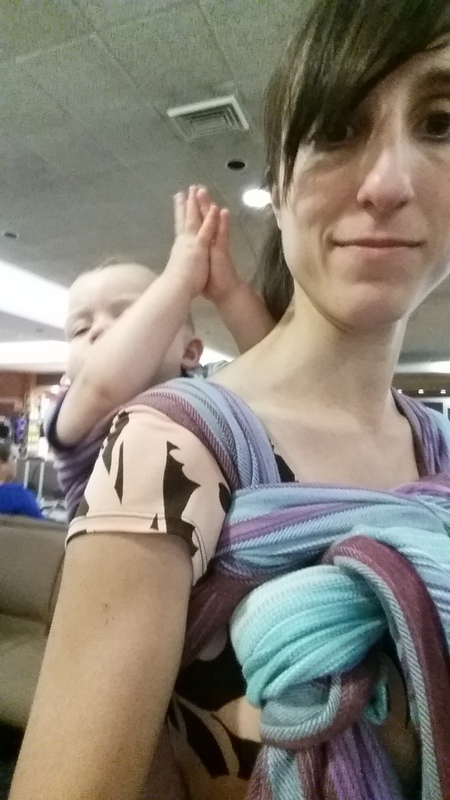 After doing this for awhile, I’ve come up with 10 tips to help moms deal with airports and such. 10. You’ll never see these people again. Don’t stress out! 9. Remember that most of these people were babies themselves and had babies themselves. If your child is cranky give them a meek smile and make no excuses for yourself. Far more people understand your plight than you think. 8. Bring a change of clothes for the baby – and for you! I haven’t needed to use either, but with traveling comes a lot of close contact and a mess for the baby can easily turn into a mess for the both of you. Benjamin playing in a somewhat empty airport gate area. 7. If you cloth diaper like I do – give it up and take disposables. Some things just aren’t worth it. 6. 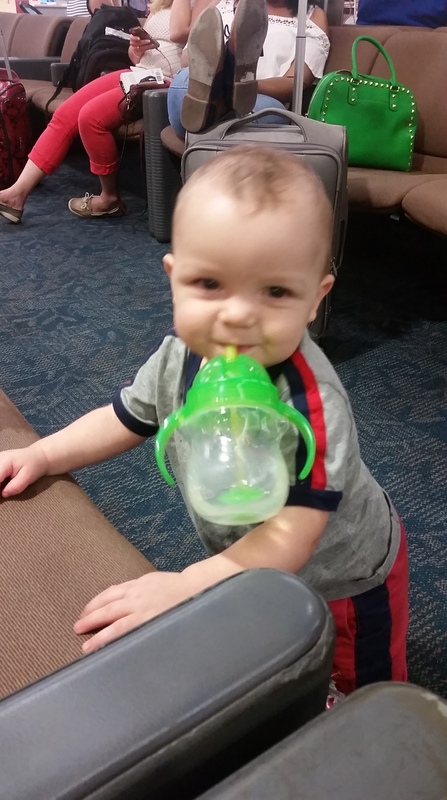 Dump out your child’s water cup before going through security. Doh! It is just water and I could have easily refilled it on the other side of security but having this cup means extra levels of screening with my baby and a carry-on. 5. Less is more. Don’t bother bringing reading material or your iPad. Baby isn’t going to be idle enough to let you read and won’t give a darn about your iPad. Ask me how I know. 4. Layovers are helpful. Direct flights are tempting but dealing with a squirmy baby with no breaks on a long flight is TOUGH. I chose flights with short-ish layovers to give myself a chance to change the diaper in the airport, stretch my legs, and give baby a change of scenery. 3. Snacks. 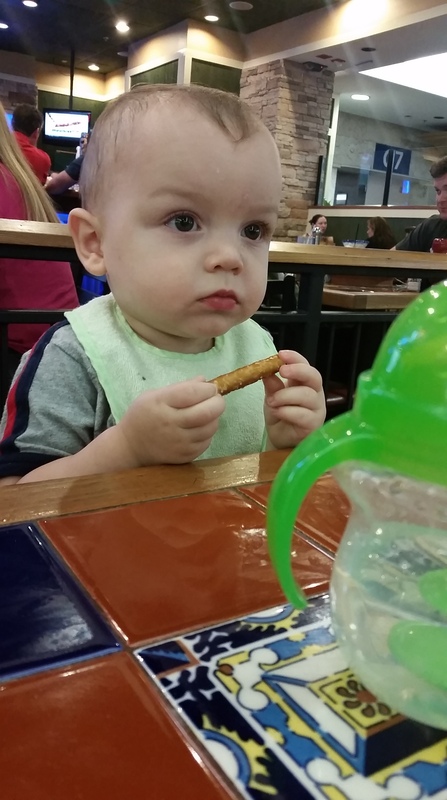 Never underestimate the power of a pretzel even if you think the baby can’t possibly be hungry. 2. Standards. Lose them. Baby can have white flour for once. A Starbucks sugar-loaded frappucino isn’t so bad if it gives mom a pick-me-up. Benjamin praying for an uneventful flight. 1. Have fun! Enjoy your getaway, laugh at your goofy kid, and let go. Bonus tip: It doesn’t seem like a tip to me since it is such a big part of our life, but lose the stroller and wear your baby. You won’t have to take your baby off during security checks, you’ll have your hands free, and baby will be happy! 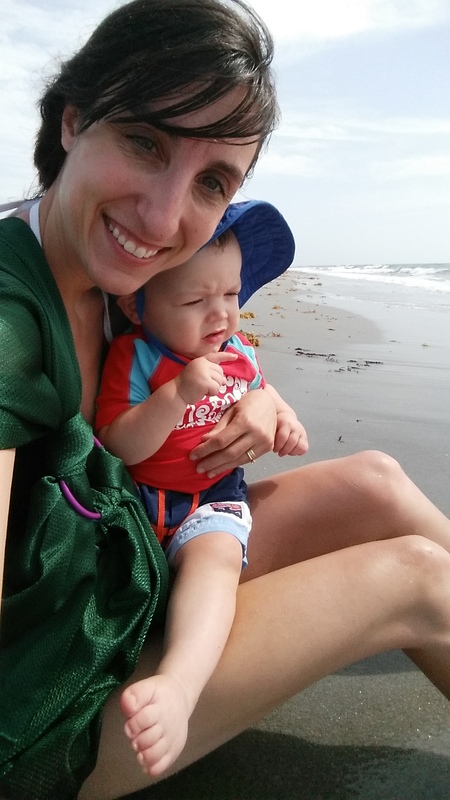 This entry was posted in Advice, Babies, Brady Evans Venables, Children and tagged Brady Evans Venables, every woman blog, Famously Hot, lexington medical center., Midlands, South Carolina, traveling with a baby by lexingtonmedicalcenter. Bookmark the permalink.